Hogwarts Summer School. Oh my gosh, I have been having so much fun with this! Brainstorming has been going fantastic! Now I just need to actually get organized and create some actual plans. lol. Sunshine. I don’t know that it’s happened everyday, but I have been spending more time outside. It’s been so nice! Plants. So far so good! It was a little touch and go with the tomatoes for a bit, but my mom sorted them out. 🙂 My little gardens make me happy every time I look out of my window. Project Life. Well, I didn’t get nearly as much done as I wanted to, but I did get 2 weeks of November done. I really need to just sit down one weekend and power through some photo printing so I can get closer to caught up. Fix Dresses. What can I say, sewing hexies is more fun than sewing buttons. lol. Hexie block number 4. 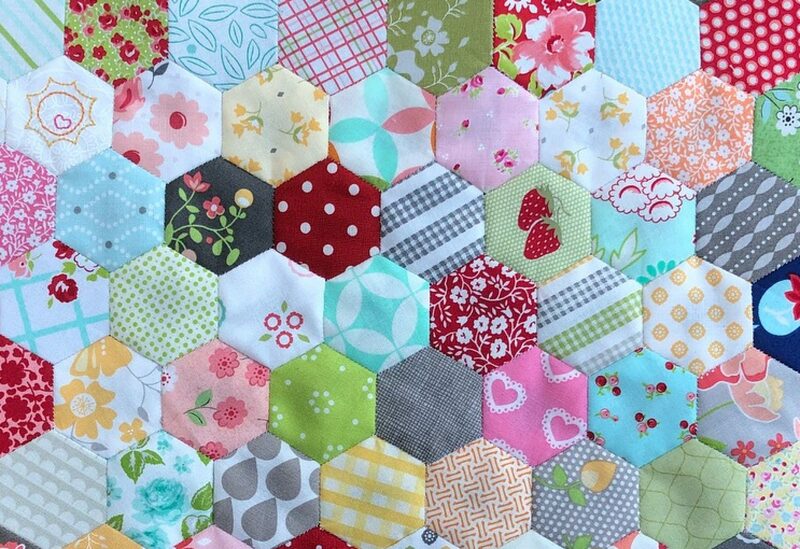 I’d love to get an extra hexie block done this month so I can get 12 done this year, but I’m not sure that that will be possible. lol. Hogwarts Summer School. I’m hoping to get week 1 and week 2 all planned out. Week 1 will just be my kiddos, but starting week 2 we’re going to have 2 of our old friends joining us 2 days a week for the summer. 🙂 I loved the idea of the booklets last summer, but they kind of fizzled out after a few weeks. 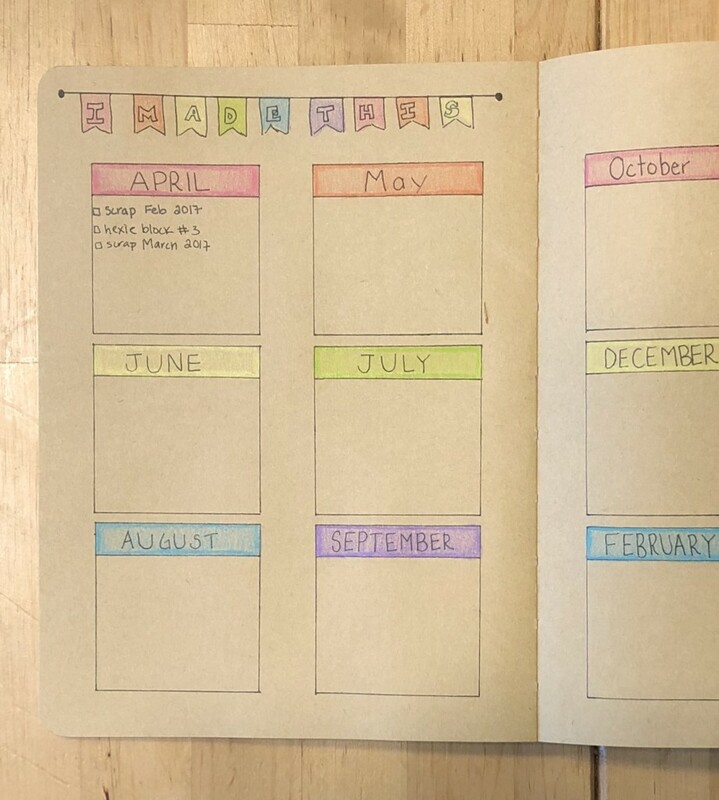 This year, I think I’m going to have a weekly schedule with a different activity focus for each day of the week. I need to flesh out this plan this week. Kate’s vest. I need to get Kate’s vest all sorted out before bridging. I can’t believe she’s almost a junior girl scout! Road Trip Prep. My mom and I are taking the kids to Corpus for 2 days to go to the beach and the aquarium. I need to come up with some a road trip booklet for Kate and ponder some car activities for the babies. Scrapbook. I’d love to get April, May, and June done. I’m not at all sure that’s possible, but it *might* be because I already have the pics printed. Project Life. Oh my. Um, maybe November and December? Summer Bucket List. I love summer bucket lists! I was hoping that Kate would want to help me make one this year, but she’s been meh about it. Make summer currency. The drachmas were so awesome last summer that we kept them going all year! This year we’re switching to galleons, sickles, and gnuts obv. I need to find some way to create the actual coins. Summer Store. I also want to create a store of sorts where Kate can turn in her galleons for stuff. Last year it was mainly candy and screen time, but I want to come up with some different options this year. Teach Kate to ride her bike! Y’all. It is way past time that she learns this. We’re going to be having some “broom flying” lessons this summer involving the bike.